A queen screams in the throes of childbirth. A little boy travels to another place and time with a power that is a mystery to even himself. An angel comes to the door with an evil intent. 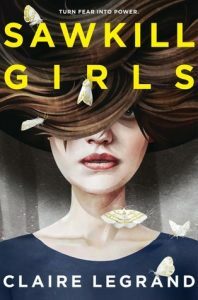 A young woman decides to barter her soul for her family’s safety. Claire Legrand’s Furyborn is bursting with tales of magic, love lost, heroic deeds, and tantalizing mysteries. 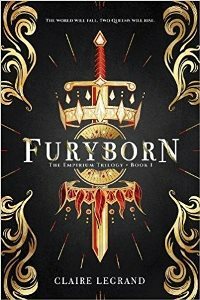 It is fantasy at its absolute best, but what makes Furyborn so compelling, and unique among its peers, is how Legrand sets up her narrative. 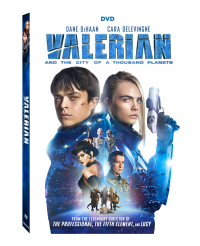 It follows two young women, Rielle, an aristocrat who is discovered to have a magical power that could either doom or save the world, and Eliana, a young bounty hunter that will do anything to protect the ones she loves. The twist is that Rielle’s story takes place roughly 1000 years before Eliana’s. The chapters alternate between each character’s point of view, as well as their place in time, which results in an amazing case where one story would seem to foreshadow the next, only to surprise you in how events actually play out. Furyborn features a world that is as deep as it is complex, with an implicit history that helps the world to feel as real as any created by J.R.R. Tolkien or Christopher Paolini. Each chapter starts with a quote from a historical figure of its world, each adding a satisfying tidbit of lore for readers to ponder. For readers that love to figure out the timeline of a story and how events all fit together, this is an absolute paradise. The first book in the Empirium trilogy, Furyborn introduces and resolves enough plot points to feel satisfying, but still leaves enough mysteries for readers to theorize about in the wait before its sequel, Kingsbane, is released next year. Recommended for: fans of young adult fantasy, strong female protagonists, magic, time travel, rich fictional histories, and action.